The Keurig K10 Mini Plus Brewing System is the perfect coffee machine for those who live in small spaces like compact apartments or dorm rooms, and it’s a great fit for those who might want a coffeemaker on their nightstands. If you prefer brewing single cups of coffee, the Mini is for you. This is really one of the most adorable coffeemakers on the market (if you are someone who considers a coffeemaker adorable…). It’s cute, colorful, compact and stylish. While they are small in stature, don’t let their small size fool you. It easily competes with larger models when it comes to ease of use and convenience. The Mini Plus is a brewing system that has no reservoir; as such, it is strictly a single serve Keurig. You have to add water prior to each cup that you brew; so it brews single cups only, no pots of coffee. If you are someone who loves to brew different types of coffee (different flavors, different styles, maybe even throw in a cup of tea) when you’re at home, this should do nicely. Or, if you just have time for one cup in the morning before you head off to work, the Keurig K10 Mini is a good choice. Owners agree with the Good Housekeeping team. Those who have the Keurig Mini say it brews delicious coffee every time. One thing many owners love about the Mini is that it doesn’t have a water reservoir. This way, each and every time you make a cup of coffee, the water is fresh; it hasn’t been sitting there for a while. Just like other Keurigs, the coffee is tasty; with the Mini you can adjust the brew depending upon which pod you use. 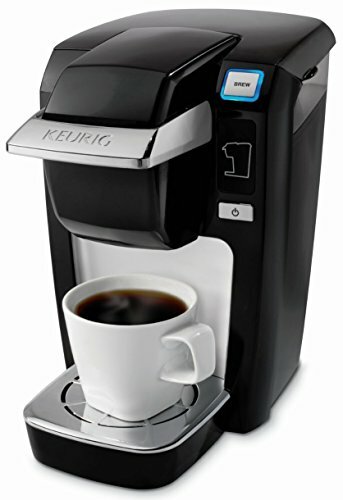 One item of note is that this is the only remaining Keurig being manufactured right now that still uses the traditional K-Cups, as opposed to the new 2.0 K-Cups. The Keurig K10 Mini Plus couldn’t be easier to use. You just add water and insert a K-Cup. Then place your coffee mug on the stand, close the lid and push a button. In fact, it’s so easy to use that it will flash a blue light to remind you to start your K-Cup brewing; then the light flashes red to let you know it’s heating. Finally, the solid red light indicates that the brew is dispensing. And since you do need to add water before you brew each cup, it’s important to note that you lose a bit of water during the brewing process, so make sure to add a bit more than the amount you want (but don’t overfill as the excess water will then spill out). Trial and error will show you just how much water you need. With the Mini, when you decide you want coffee, you can have it in your cup and ready to go in just under two minutes. The one thing that owners say is tougher with the Mini than with full-sized Keurigs is the cleaning. You can simply wipe out the water level gauge and then wash it by hand; if you have small hands, you will want to wipe out the areas of the water fill area by hand. To descale the Keurig, pour in a third of a bottle of Keurig’s descaling solution (or you can simply use distilled white vinegar). Then fill the rest of the way with water. Place a large mug on the drip tray, without a K-Cup in the brew basket, and then lift the Keurig’s handle and wait a few seconds. Lower the handle and then push ad hold the brew button until water dispenses. Now, rinse. Fill with water, turn the brewer on and lift and lower the handle again. Push brew. You will want to repeat this process three times in order to get the taste of vinegar out. This needs to be done every three months or so (if you notice the brewer is running slower than usual, it’s time for a cleaning). The needle needs to be cleaned every three to six months as well (there is a great video on Keurig’s site which shows you how to do this). Many owners say they’ve been using the Mini for years and it is still going strong. One thing all reviewers agree upon is that the Keurig Mini is very cute. 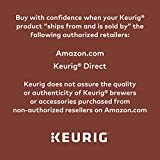 It is available in number of colors; these color options change frequently and their availability depends upon where you purchase your Keurig. This coffeemaker will fit with any décor; its sleek, small and comes in a color that will match whatever you need it to. The Mini has a very small footprint, which makes it perfect for even the smallest living spaces. It weighs in at just less than nine pounds. 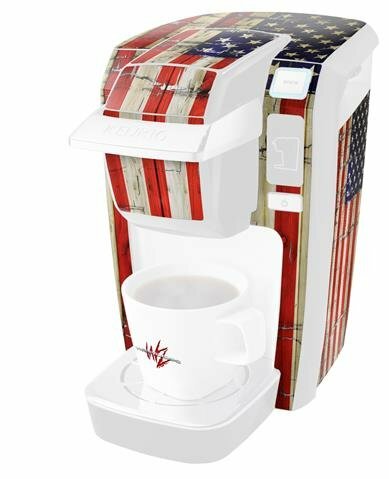 It’s also a great fit for homes and dorm rooms where only one person drinks coffee, since it just makes one cup at a time. Get the coolest decal kits out there! The Keurig K10 Mini Plus generally sells for under a hundred dollars. I purchased mine at this Amazon listing for a good price. Even better? The Mini can save you money in the long run, especially if you are someone who generally throws out the coffee that is leftover in the pot. This helps curb that waste and save money from going down the drain. With the Keurig, you know you will always have options for variety. 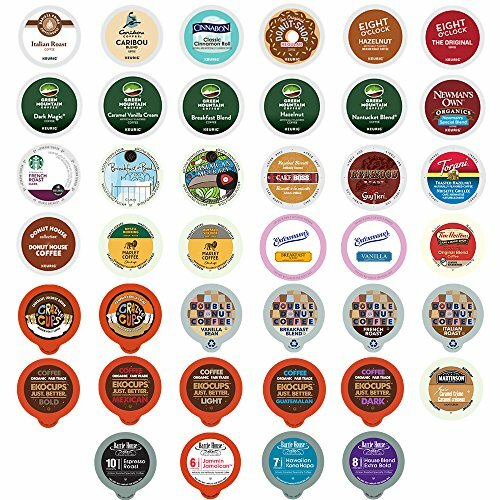 Since the Mini takes traditional cups, you can purchase K-Cups from a number of different manufacturers, so there are always a variety of flavors available. There are a few things people find problemic with this Keurig. Takes About 2 Minutes to Brew: For one thing, it turns out some people don’t like to wait to two minutes for their cup of coffee to brew. They find this a bit too slow. If you don’t mind starting the brew and doing something else for two minutes, though, it shouldn’t be a problem. Or, if you just keep this model around for guests, it’s probably not something you’ll worry over. Limited Batch Recalls: You should also be aware that there was a recall of the Keurig Mini, but that only affects those K10s manufactured from December 2009 to July 2014; so, if you purchase a brand new Mini, there will be no problem. The old machines were prone to overheating (more info is available on the Keurig website), but the new models are fine. No Water Reservoir: Many people also see the lack of a water tank as a drawback. If you do prefer making a pot of coffee, there are plenty of other Keurig models available. Not Ideal for Tall Travel Mug: Another complaint that comes up is the fact that the Mini is too small for tall coffee cups. However, since it is called a ‘Mini’ it should not be a surprise that its compact shape doesn’t fit larger cups. And while the Keurig K10 Mini will save you money if you are prone to pouring out leftover coffee from a full pot, it can get pricey if you drink a lot of single cups. K-Cups do get expensive, so make sure to shop around. You can also purchase a refillable K-Cup system that works with any type of ground coffee. These are compatible with the Mini. If you drink more than a cup or two of coffee a day, you may want to spend the extra money and purchase a larger Keurig that does offer you the reservoir option. Overall, reviewers seem to love this product and highly recommend it. It’s great for anyone who wants a cup of coffee or two a day. It works well for single cup brewing and owners say it makes a delicious cup of coffee.